What a slow start to the season we have had with high flows in April and very little activity generally. Thankfully things seem to be waking up a little now with the mayfly making an appearance and river temperatures really rocketing in all this warm, sunny weather we have been enjoying. 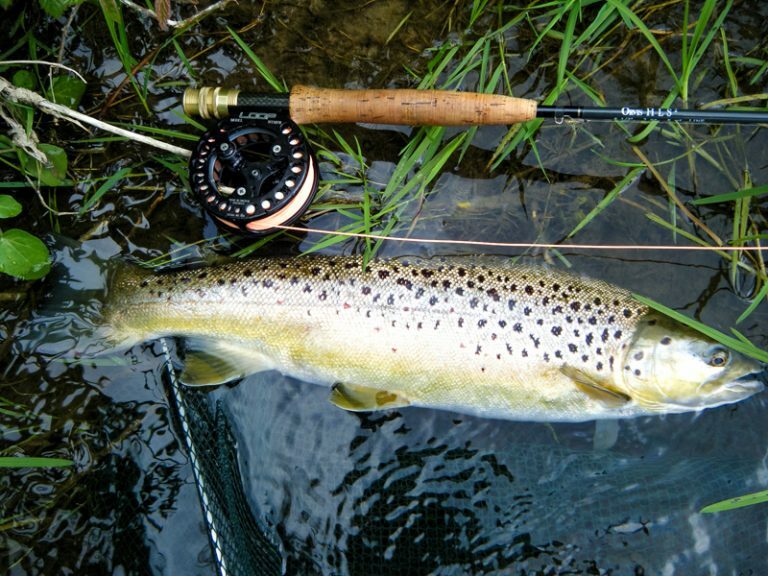 After arriving at the river recently there was very little in the way of hatching duns but I stuck with a French partridge mayfly pattern and after a couple of pound-plus trout, was rewarded with this lovely 20” fish; I did quickly weigh him in the net and he came out at 3lb 7oz. Later in the day the fields were swarming with spinners and I was hopeful for a busy evening but despite plenty of fly on the surface and several rising trout, the fish were refusing to take mayfly patterns. It became obvious after a while that another hatch was in progress; the fish were locked on to this other hatch and on the whole ignoring the feast of mayfly. After a lot of head scratching and working through my fly box I couldn’t work out exactly what the hatch was but despite this I did manage to land a couple more fish. Very much looking forward to the rest of the season.